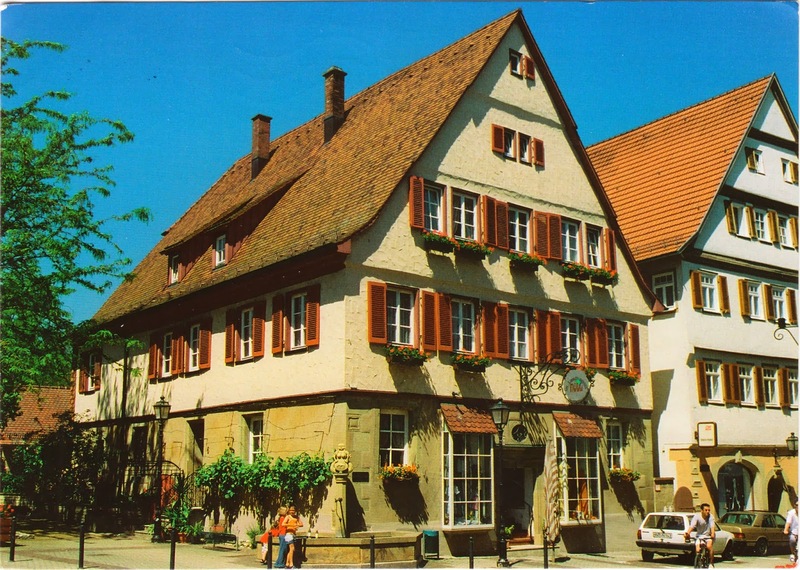 Postcard DE-2831814 from Germany shows a historical building at Brackenheim, a town in the Landkreis Heilbronn, Baden-Württemberg, in southern Germany. Brackenheim is located 15 km or 9.3 m southwest of Heilbronn. With more than 800 hectare of vineyards, it is the largest grape-growing municipality in Württemberg. The Protestant dean's office building was built in 1749 and had been in use until 1977. You can see more of its photo at Panoramio.